custom satin ribbon Archives - ThirtySevenWest ThirtySevenWest - Creative ideas about personalized custom ribbons, woven tags and labels, personalized gifts and more!!! Custom Ribbon: How Much Logo Ribbon Should We Order? Deciding how much ribbon to order can be confusing at first, but taking a little time to think about the ways you may use the ribbon will help you get an idea of the amount that makes sense. Taking this step now will save you from running out of ribbon long before you run out of gifts to wrap. How will you use the custom ribbon? We recommend that you first consider how you are going to use the custom logo ribbon. For example, if you are going to use it for gift giving, get a sample gift (including its box) and use a piece of string or another ribbon to wrap the package. Posted in Personalized Ribbon | Comments Off on Custom Ribbon: How Much Logo Ribbon Should We Order? Custom Ribbon: What Size Logo Ribbon Should We Choose? 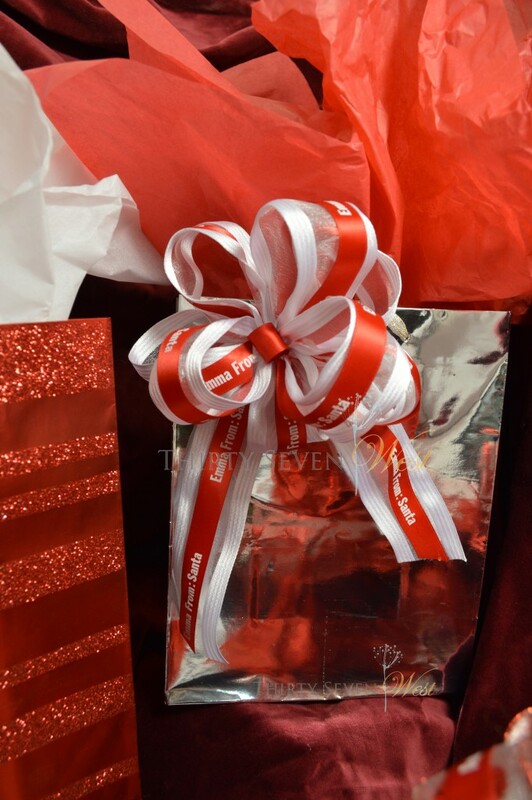 You’ve already decided to make your gifts more memorable this year with the use of personalized ribbon. You know it can be customized exactly as you want, with your corporate logo, company tag line or heartfelt message of appreciation. Posted in Personalized Ribbon | Comments Off on Custom Ribbon: What Size Logo Ribbon Should We Choose?